For many today, around the world coffee has become more than just a beverage to drink in the morning. It has been incorporated into the culture of the individual; a lifestyle. From cheap instant coffee to exquisite cups of the mysterious black gold, coffee lovers around the globe would not start the day without first taking this morning fix. Coffee first entered Indonesia through Batavia, now Jakarta, in 1696 during Dutch colonial times when the Dutch brought in Arabica coffee to plant and cultivate it here at the Cibodas national park on the road to Puncak. This grew to be one of the Dutch top commodities. 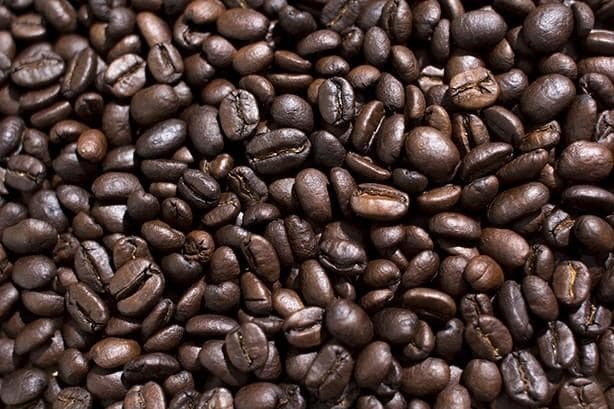 The VOC exported the first batch of Indonesia's coffee in 1711, which grew to 60 tons per year in only 10 years’ time. In Indonesia, coffee is not only a way of life, it has become an important commodity. Indonesia is one of the biggest coffee producers in the world along with heavy-weights Brazil, Vietnam and Colombia. Not only is it consumed by Indonesians, it has also become a source of livelihood for many of its people. From coffee farmers to coffee traders, it is an essential part of the daily lives of many people. Indonesia produces some of the finest gourmet beans in the world, including “the most expensive coffee in the world”, as introduced by Oprah, called : Kopi Luwak. Today coffee enthusiasts flock to the archipelago for to get a taste of these divine cups of Java. Bali is popular throughout the archipelago for its coffee beans produced in the cool mountain regions of Kintamani. Unlike most other types of coffee, Kintamani is unique among other Indonesian Arabica coffees because of its mild flavor, medium acidity and fruity taste. The fruity taste is derived from the coffee being planted together with fruits and vegetables enabling the beans to absorb the flavor of their surroundings. If your tongue craves for an unconventional cup of Joe, then Kintamani coffee is the one to choose and bring home to share with friends and family. On the island of Sulawesi are the people of Tana Toraja who cultivate the exquisite Toraja coffee beans. Toraja Coffee is a multi-dimensional coffee grown in the northern highlands of South Sulawesi and is distinguished by its expansive flavor with a full-bodied richness and undertones of ripe fruit and dark chocolate. The Toraja people produce two types of beans, Arabica and Robusta. A cup of Torajan coffee has been described as deep and brooding with mustic fruit notes and rustic sweetness. This type of coffee is perfect for those who hate the bitterness of beans because the bitter aftertaste of coffee seems to magically disappear after the first sip, leaving a pleasant sensation on your tongue. Every Indonesian knows Aceh's Gayo coffee, grown in the Central Aceh Gayo highlands in the north-most part of the island of Sumatra. Other than it being fun to say “gayo”, this is one of the most consumed types of coffee in the nation. Although both Arabica and Robusta beans are produced as Gayo coffee, the most popularly consumed and exported type is Arabica Gayo. The flavor profile of a cup of Gayo Arabica is strong and complex. It has a strong aroma and extremely mild bitter taste making it a perfect blend of gourmet coffee. Flores is known for its incomparable beauty and being home to the world's “hobbit” ancestors. Who would have guessed that this astounding region also produces some of the best coffee beans in the world? Flores is one of the larger islands in the chain running west to east between Bali and Timor. Bajawa is the harbor town for the highland area along the southern coast where the coffee is grown. The cultivation process of this Arabica type of coffee is inherited from generation to generation using traditional methods. The aroma of the coffee is characterized by the strong fragrance of flowers, chocolate, earthiness and sometimes of moist tobacco. It is made using a wet-hulled process giving it a thick body and unique flavor with a pleasing aroma found only in this region. 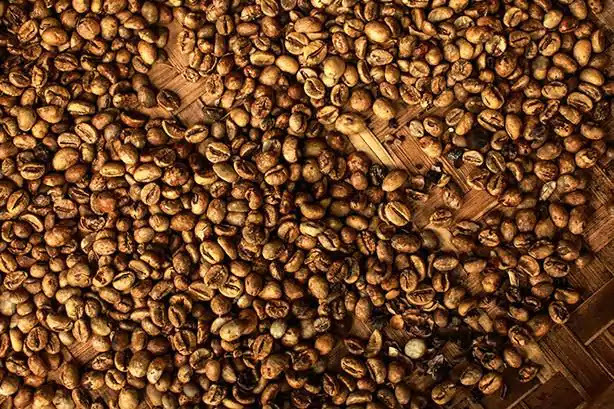 Indonesia is home to the most expensive coffee in the world known as Kopi Luwak. The history and origins of Kopi Luwak is just as interesting as its flavors. Genuine Indonesian kopi luwak is collected from the droppings of a wild cat-like animal called the luwak (the common palm civet, Paraxorus Hermaphroditus), a nocturnal forest animal that freely prowls nearby coffee plantations at night in the harvest season, eating the choicest ripe coffee cherries. It can't digest the stones – or coffee beans – of the cherry, so the cherry stones and coffee beans come out whole when the animal does “the number two”. The beans are then collected, washed and processed by coffee farmers. The process of fermentation in the civet cat’s stomach breaks down the coffee protein and takes away the bitter after taste, changing the flavor making the kopi luwak smooth, earthy and nutty. Its low acidic level makes its smooth for people who have stomach ulcers or digestive problems to drink it because it goes down easily. So how much are you willing to pay for a cup of this weird yet wonderful concoction? We just can't seem to end the article on that last note. There's one more type of Indonesian coffee you just have to try at least once in your life. Yes, the rumors of Sumatra being a haven for coffee plantations are right. The island has another gem for coffee aficionados: Sidikalang Coffee from North Sumatra.